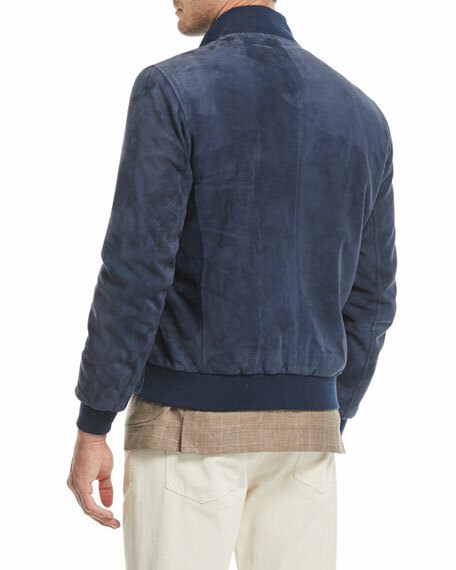 Brunello Cucinelli bomber jacket in suede. For in-store inquiries, use sku #2415385. 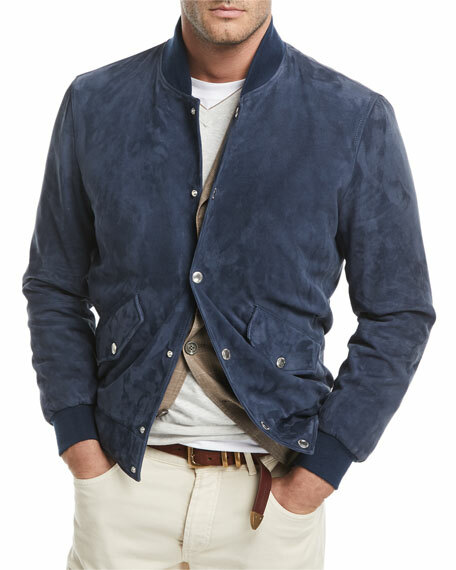 Brunello Cucinelli jacket in reversible buffered leather and taffeta hooded zip f. Hooded neckline with drawstring; zip front. Long sleeves. Brass monili beading. Front zip pockets. Semi fitted. Lamb leather. Made in Italy. 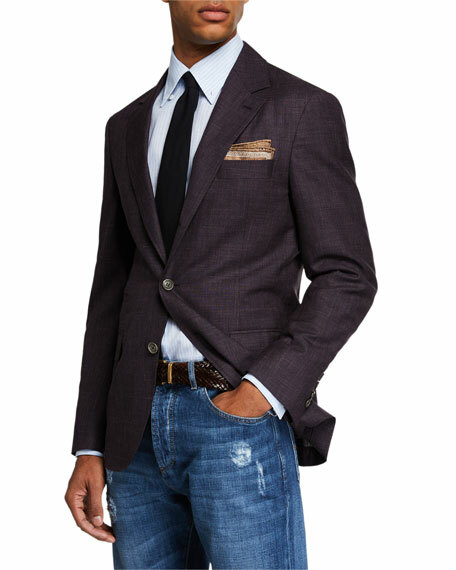 Brunello Cucinelli sport coat jacket in deconstructed weave. Notched collar; two-button front. Flap pockets at hips. Finished sleeves. Double vent. Wool/silk/linen. Made in Italy. 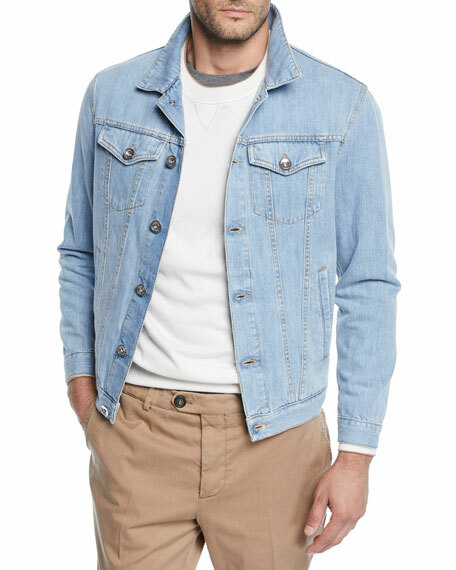 Brunello Cucinelli denim trucker jacket in light wash detail. Spread collar; button front. Side slip pockets; chest button-down flap pockets. Long sleeves. Button cuffs. Cotton. Made in Italy.